Over the weekend I attended a dear friends hens party. 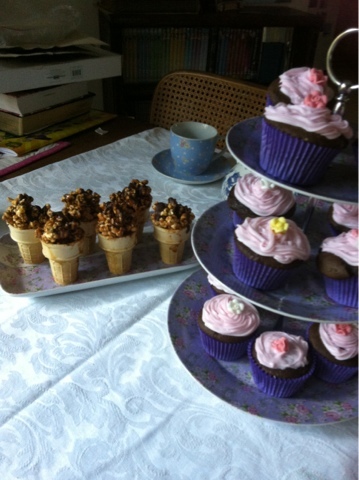 I was asked if I could contribute by making a dessert of some kind so, I decided on some pretty choc cupcakes and caramel popcorn choc tops. Now cupcakes are cupcakes but the caramel popcorn choc tops were fabulous! These would be a fantastic addition to any kids party and they taste delicious! They were so easy to make.